Boost your training and prepare for Origin battle in this genuine replica NSW Training Jersey, complete with VapoDri sweat wicking technology and official Blues team and sponsor logos. Get ready for the next State of Origin clash by taking your training to the next level with our 2019 NSW Training Jersey. Manufactured using 100% Polyester Interlock 250gsm, this superior training jersey incorporates unique Canterbury VapoDri technology, wicking moisture away from the fabric as you sweat to leave you cooler and drier while you exercise. 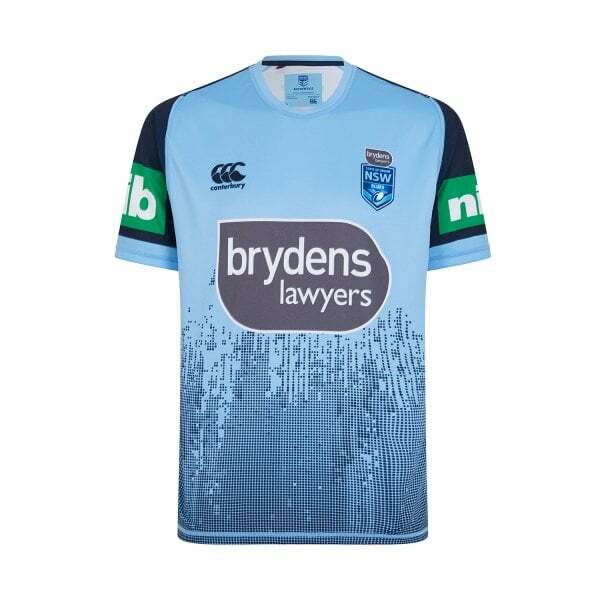 It comes complete with NSW team and sponsor logos to showcase your loyalty to the Blues, plus the iconic CCC logo, which identifies you as a member of the Canterbury team of players and fans. One for the training wardrobe from Canterbury’s 2019 NSW replica on field collection.